Trust your eyes to our experienced and certified doctors and staff. Dr. Brasher received his Bachelor of Science degree in biology from Angelo State University in 1995. He received his Doctorate in Optometry from the University of Houston College of Optometry in 1999. He spent one year working in neuro- ophthalmology under Rosa Tang, M.D., M.Ph. seeing patients at MD Anderson Hospital, Baylor Medical Center, and Methodist Medical Center in Houston. After completing his medical education and training, Dr. Brasher returned to San Angelo to begin private practice. His constant endeavor is to bring a high-quality, full-scope eyecare practice to West Texas capable of addressing all eyecare needs. Dr. Brasher's practice interests include diagnosis and treatment of ocular disease, neuro-ophthalmic disease, treatment of glaucoma and retinal disease, as well as surgical co-management of cataract and LASIK eye surgery. Dr. Brasher continues to enhance his knowledge and training in eye care through ongoing medical education. He is certified by the Texas Board of Optometry to practice therapeutic optometry in the state of Texas and is also certified by the Texas Board of Optometry as an optometric glaucoma specialist. 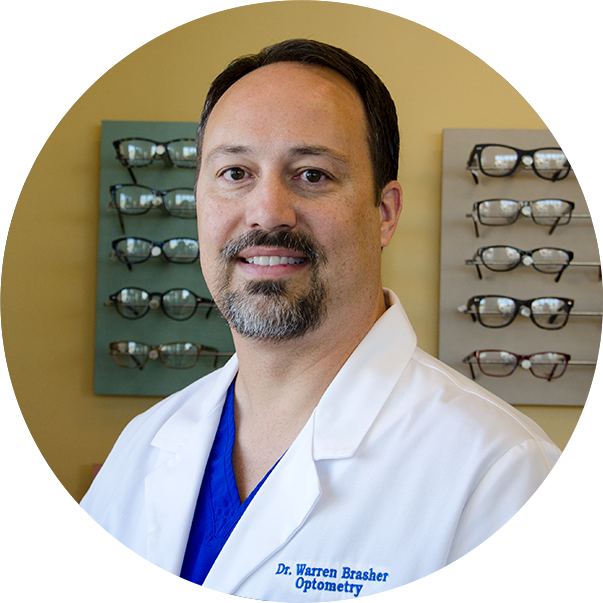 Dr. Brasher is a member of the American Optometric Association, Texas Optometric Association, American Optometric Society, Rolling-plains Optometric Society, Lion's Club, and PaulAnn Baptist church. Dr. Brasher also owns Precise Optical – a wholesale ophthalmic laboratory located in San Angelo. Precise Optical produces ophthalmic-grade lenses and coatings for glasses and sunglasses. It is a full-service laboratory using state-of-the-art 6-axis CNC lathes and custom coating machines. It produces lenses for doctor's offices and optical retail shops located over six different states. Dr. Brasher is proud to bring this level of technology and manufacturing to San Angelo. When away from work, Dr. Brasher enjoys spending time with his wife Kristi and daughters. His hobbies include carpentry and metal work. Dr. Jamie Gold received her Bachelor of Science in Business Administration from the University of Southern Mississippi in 2001. She received her Doctorate in Optometry from the University of Missouri – St. Louis College of Optometry in 2010. Dr. Gold then completed a one year cornea and contact lens residency at the University of Missouri – St. Louis College of Optometry, where she focused on specialty contact lens fitting for irregular corneas. After practicing at a private practice in St. Louis, Missouri, Dr. Gold joined Advanced Eye Care in 2013. 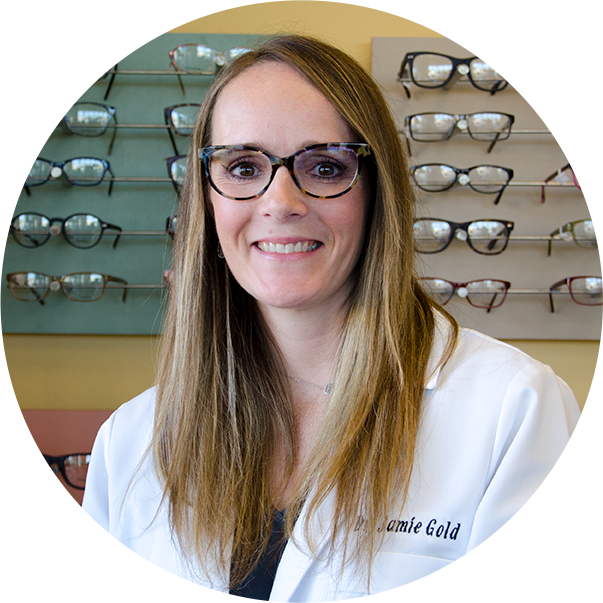 Whether she is performing comprehensive eye examinations, managing and treating eye diseases such as glaucoma or macular degeneration, or fitting contact lenses, Dr. Gold is excited and proud to help this community with all of their eye care needs. Dr. Gold is active in both local and state optometric communities. She is certified by the Texas Board of Optometry to practice therapeutic optometry in the state of Texas and is also certified by the Texas Board of Optometry as an optometric glaucoma specialist. In her spare time, Dr. Gold enjoys spending time with her husband, Phil, and daughter, Brumley. She is also an avid golfer.